Use Skype Education to connect with other students and teachers around the world! Skype is a free and easy way for students and teachers, to open up their classrooms to other classrooms around the world. 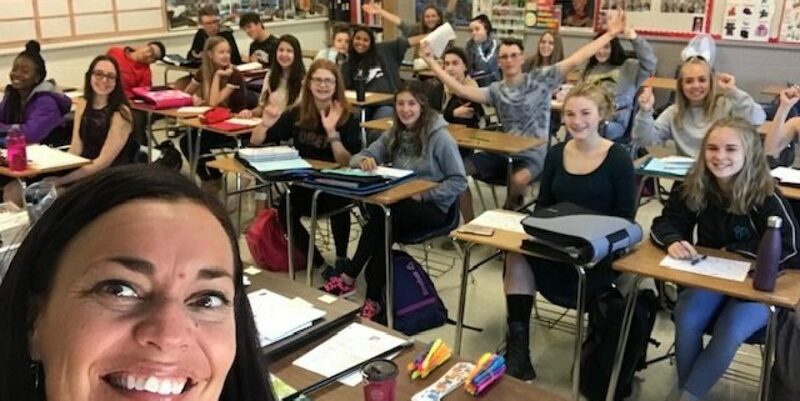 As a language teacher, I can meet other teachers and students who strive to learn a 2nd or 3rd language!Skype can also be used in other classroom subject areas for educational purposes! 4) Students could be given homework assignments via twitter if out of city or country. 6) Broadcast a meeting, or play for those students, parents and teachers unable to make it! Or to promote a big school event! 7) Collaborate with other teachers from around the world in regards to resources! Recently I have been trying to make a classroom contact with my cousin in Mexico City! The timing was never right with her class schedule, and our attempts were not working. Recently, I went on Skype Education and found other teacher’s from around the world wanting to collaborate in an innovative and safe educational manner! I tested the Skype Education program today, and it was awesome! We contacted one of my contacts from a Honduras High school! It was really inspiring to see the students use what they have learned in Spanish with someone from a Latin speaking country! Although my attempt was short on video, I will attempt Skype education again with a longer guided lesson in place. I will keep continue to keep you posted on this!